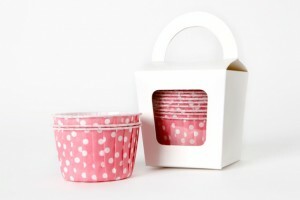 Gorgeous little polka dot muffin cups. Perfect for yummy baked treats or use them for goodies on a candy buffet. 12 muffin cups beautifully packaged in a sweet little box.